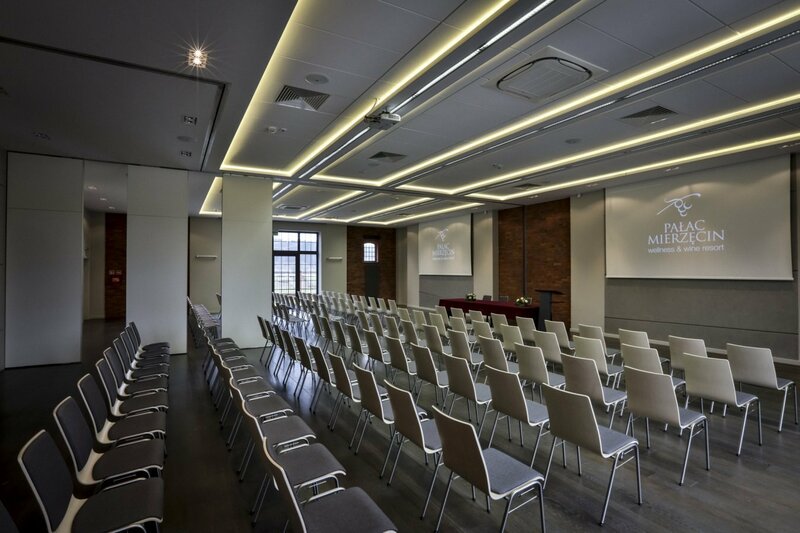 Mierzęcin Palace’s modern training conference centre includes 6 multipurpose rooms which can accommodate altogether up to 430 people. We also provide professional equipment to conduct trainings and conferences. 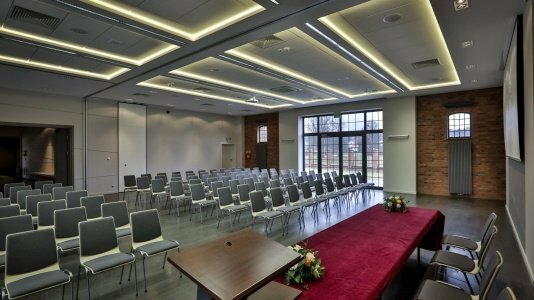 Mierzęcin Palace is also an exceptional place for people who wish to regenerate after exhausting business meetings and trainings in order to start the next intense week full of strength and energy. 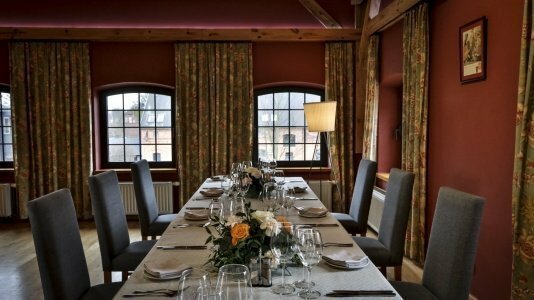 The Guests can take advantage of the rich offer of the Grape SPA of the Palace, eat dinner at one of our restaurants and to taste wine from the Vineyard of Mierzęcin Palace. 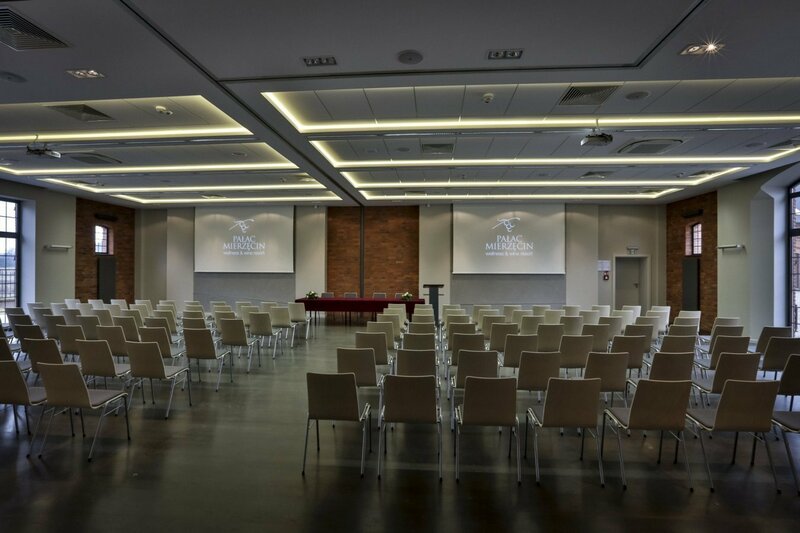 The Grape Spa hall is the largest and the most modern conference room in the compound. It is located on the ground floor of the Old Barn building. Atmospheric conference hall with perfectly preserved elements of the old compound architecture. It is located on the ground floor of the Conference Center I. Room A is located on the 1st floor of the Conference Center I. Equipment: projector, portable screen, wireless Internet, wired Internet, air-conditioning. Room B is located on the 1st floor of the Conference Center I. Equipment: projector, portable screen, wireless Internet, wired Internet, air-conditioning. Room C is located on the 1st floor of the Conference Center I. 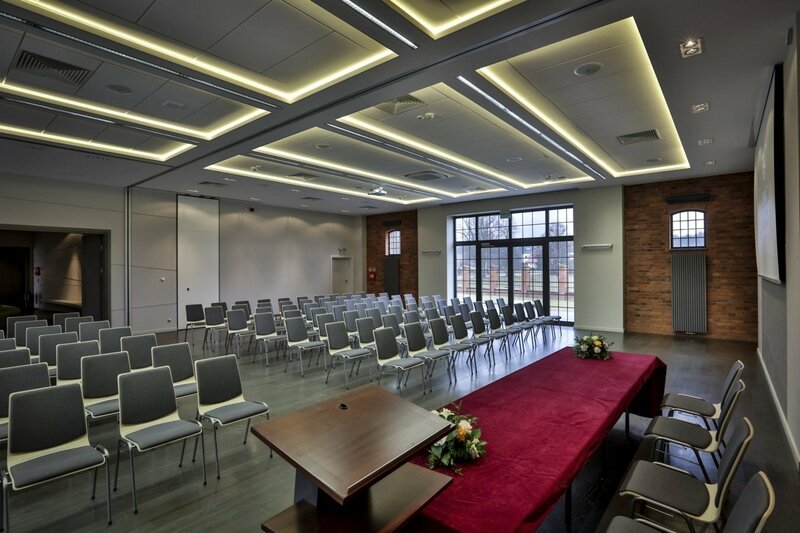 Equipment: projector, portable screen, wireless Internet, wired Internet. Room D is located on the 1st floor of the Conference Center I. Equipment: projector, portable screen, wireless Internet, wired Internet, air-conditioning.